Demonstrating the strong relationship between Fair Trade and the green agenda, some of the key leaders in the movement, alongside a Fairtrade Gold miner from Africa, will provide new insights into how Fair Trade works to protect the environment. This includes support provided to farmers to enable them to adapt to the effects of climate change and develop sustainable farming methods, as well as analysis of the post-2015 UN Sustainable Development Goals. The Conference will model the highest standards of sustainability; the venue has cutting-edge environmentally friendly credentials, public transport will be used whenever possible and all food and drink will be sourced ethically. 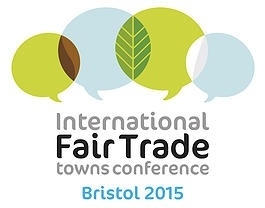 The majority of those attending are likely to come from Europe, with the US, Japan and Brazil amongst the wider emerging Fairtrade markets expected to be represented.